Writing this blog post still make me drool because when I made this at home it was perfectly cooked one of the best simple meals I ever made, sweet and savoury sauce on a lightly browned and crispy salmon skin while retaining its moisture. The layers of salmon fat is not melted but cooked to the proper temperature giving it a nice flavour and texture on every bite. 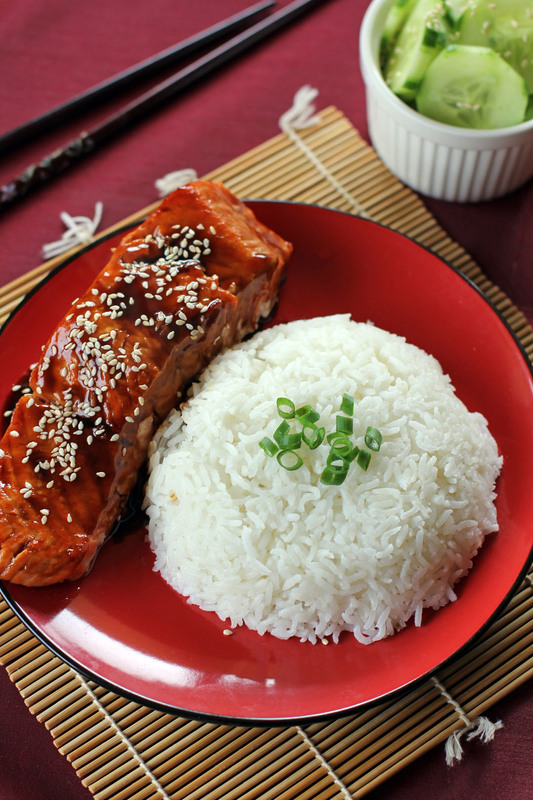 Salmon is such an easy and delicous meal — liking the beautiful glaze on yours. Looks wonderful! One of the best ways to prepare salmon! I love that such simple dishes can induce such great reactions! Definitely doable…I just have to go and buy salmon. I hope I’ll be able to make it look as good. mouth watering dish, and with how it is prepared yummy. This is must have nemu once i stepping into a new japanese restaurant…. i usually judge the quality of the restaurant from their salmon teriyaki…..
I’ve never made Teriyaki from scratch, but I think that’s going to change. This looks delicious!